Start to Finish Cool Omega 40+ is a unique blend of fat and all natural proteins for today’s active horses. These calories are designed to meet the requirements of peak performance horses, keeping them on the cutting edge. Start to Finish Cool Omega 40 Equine Coat Care has different options and/or variations, please choose below. Cool Omega 40 high in Omega 3 & 6 fatty acids, Cool Omega 40+ is a pelleted coat conditioner for improving body condition and performance. 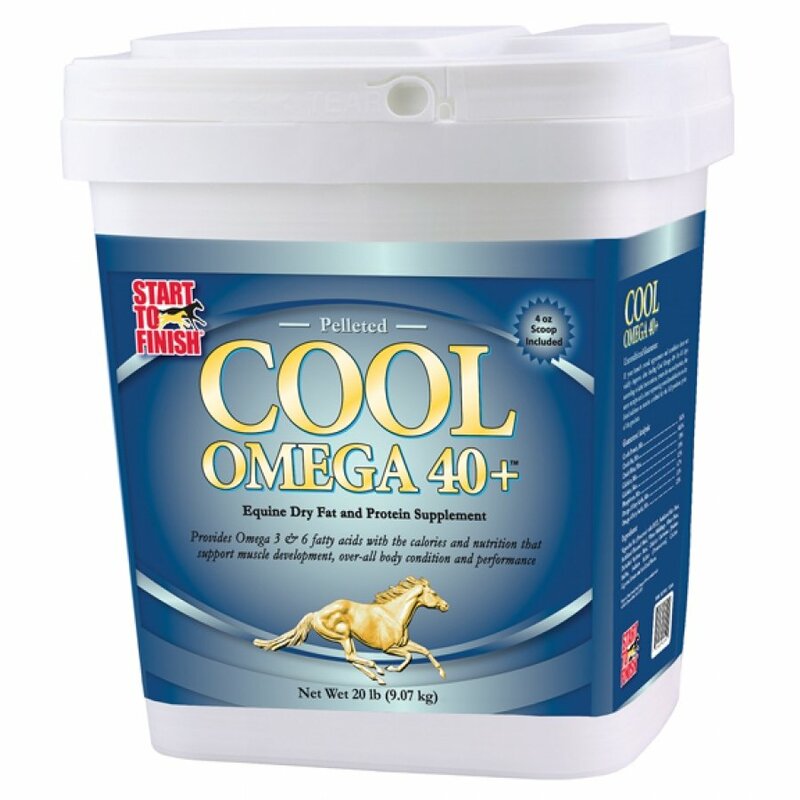 Cool Omega 40+ is a unique blend of fat and all natural proteins for today’s active horses. These calories are designed to meet the requirements of peak performance horses, keeping them on the cutting edge without the negative impacts of increased grain feeding such as digestive upset, colic and founder.